We had some extra support with our fundraising thanks to nine-year-old twins Zac and Isla Hollinshead. 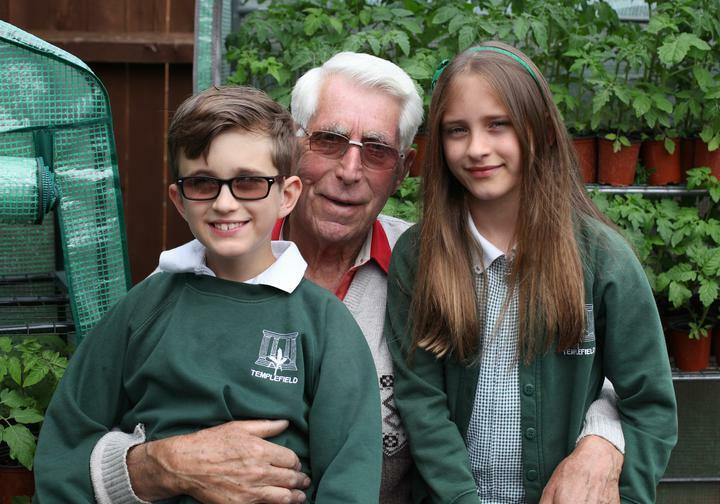 They created a project, 'Templefield Market Garden', selling cherry tomato and sweet pepper plants which they had grown with the help of their green-fingered grandad. Zac explained "I don't see very well and there are lots of things I can't do physically so my teachers have to work extra hard to help me be the best I can. I thought I'd dry and make some money for my school to help them with their fundraising as a way of saying thank you". The children, who are leaving the school this summer at the end of Year 4, have grown, watered and talked to over 400 plants which they offered for sale after school at only £1 each. The sale was a hug success and has so far raised over £415 for new playground equipment. Mrs Debbie Trivett, Headteacher, said "We were delighted to support Zac and Isla with this lovely idea. We are grateful to them, their Granddad and everyone who supported their Market Garden - we hope that everyone will be enjoying delicious fresh tomatoes and peppers this summer!"